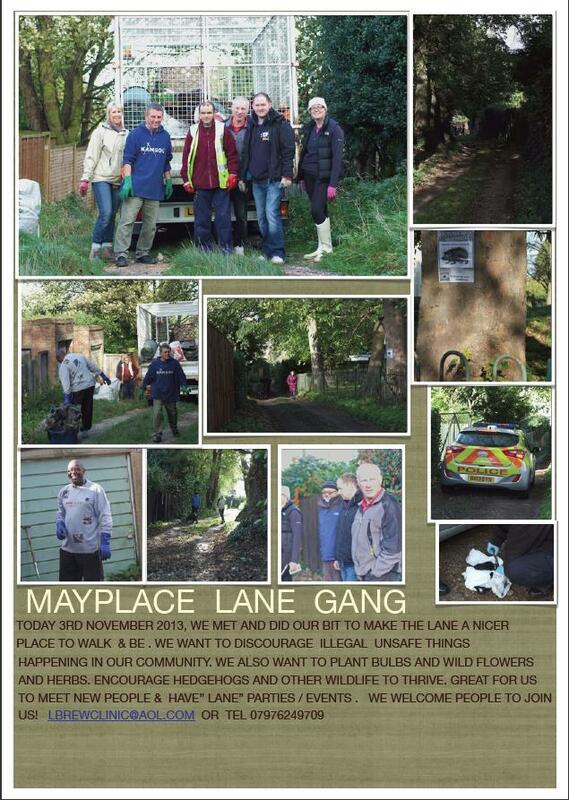 Thanks to Lesley for the pictures and update about Mayplace Lane shown above. There was a great turnout at the get-together on the 3rd, with something like 15 to 20 people helping at different times. The Lane is looking much tidier now, and should be even better in spring when the bulbs planted are in flower. Thanks also to the Royal Borough of Greenwich for sending a man and a truck to take away all the rubbish collected. Nicola is hoping that we can repeat the tidy up at the end of January or early February, on a Sunday again if everyone’s happy with that. Further details will be circulated nearer the time.